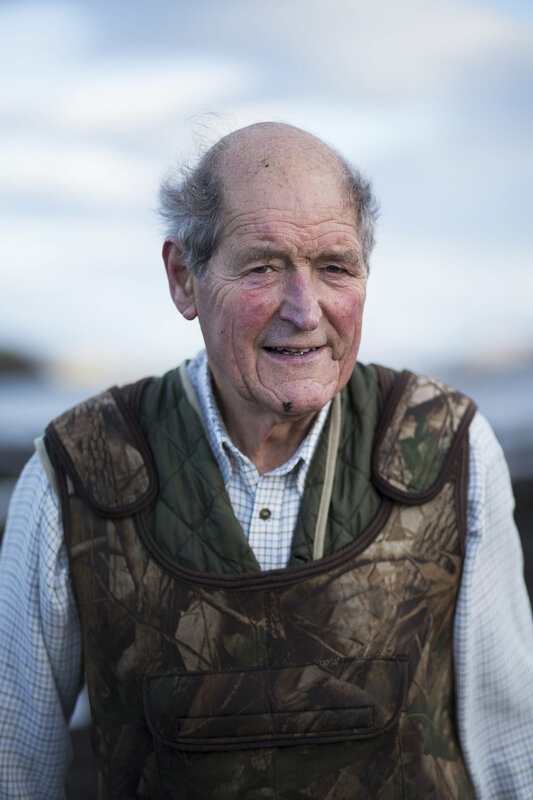 David Cyster has been farming oysters at Ardencaple since the 1980s. His friend first put a few bags of oysters out in the sea after claiming he farmed them in a bid to stop a salmon fishery ruining his view. After the oysters grew at an astounding rate the pair decided to expand the operation and David is still growing shellfish 30 years on. Working largely on his own, and after a recent hip replacement David is a proper grafter and is always a pleasure to chat to and photograph. I spent a rather chilly December weekend with him, helping with the monthly harvest and selection process, taking photos and talking about his incredible adventures around the world. Having spent time in the Royal Air Force and a working as a commercial pilot for British Airways he has been some amazing places and seen some pretty wild events. I get the feeling this is his little piece of consistency, the ever-flowing tide that produces great oysters, for him to enjoy and share. Most of the oysters produced by David are sold to local restaurants demanding the highest quality. He only gives them the biggest and best, the others go back in the water until the next harvest. 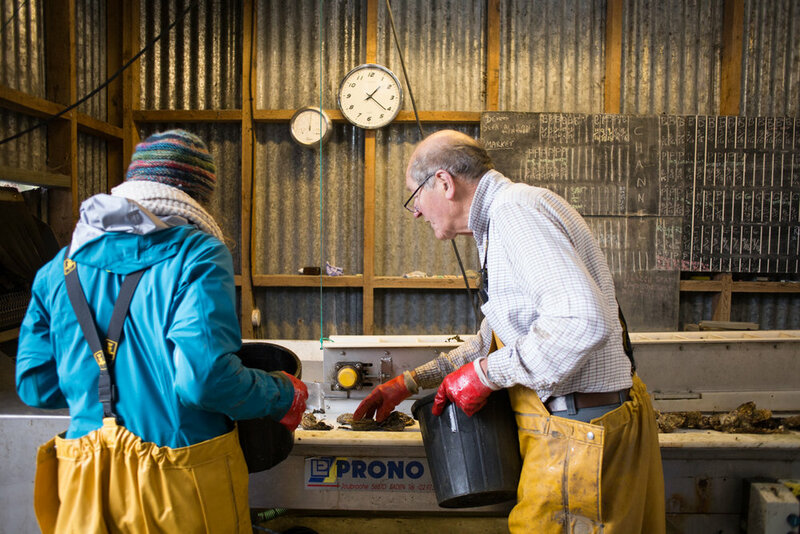 Scotland has a rich history when it comes to shellfish, and oysters in particular. In the 13th century one oyster fishery on the Firth of Forth covered over 130km2 and produced a staggering 30 million oysters per year. 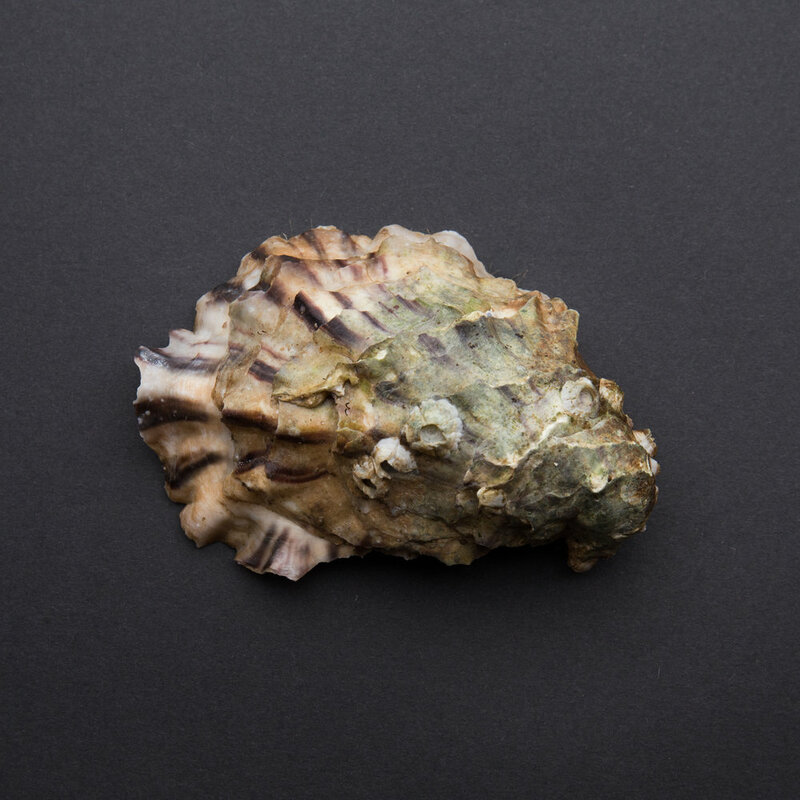 These oysters had such an impressive reputation for quality that they were exported all over Scotland, England and into Europe for consumption and breeding.